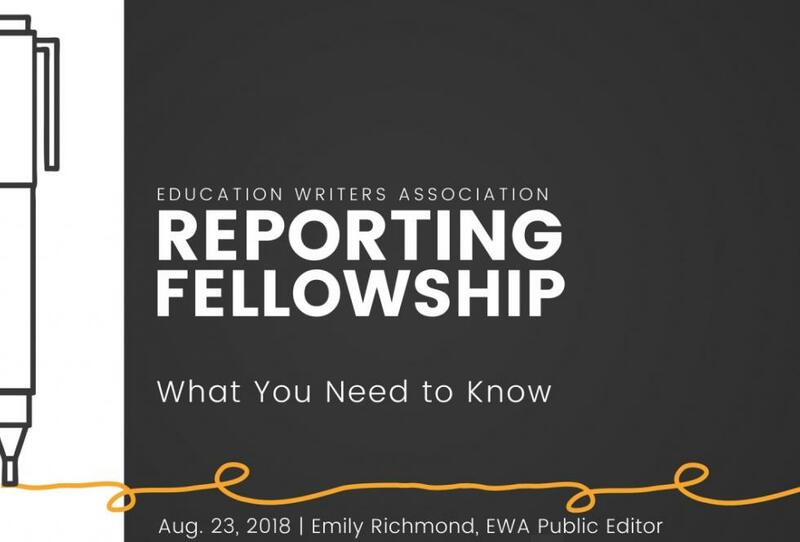 Please be aware that to qualify for the EWA Reporting Fellowship, you must submit a letter of support from your editor or newsroom supervisor supporting your participation in the program and providing a commitment to publish your work upon completion. Freelancers must also submit a letter from the appropriate editor at an independent news outlet that will publish their work. This letter should be submitted with your application, which is due by February 15, 2019. Please review the questions below. When you are ready, you will submit your answers online. In a few words (one or two sentences), explain the main focus of your project. In a brief statement (3,000 characters or fewer), explain how your project would offer new insights about the current education landscape, and in what ways it would make a unique or especially compelling contribution to the understanding of educational challenges and potential solutions. Is this a new endeavor or have you already done some work on the specific issue? (Please provide examples, if applicable.) How will the scale and scope of the project stand apart from your outlet’s typical approach to reporting? Please explain why you are qualified or suited to take on this project. Are you planning to incorporate any innovative tools to help tell the story, such as multimedia components or data analysis? Please explain. Explain the expected impact of your project. Will your work raise awareness among the public and policymakers about a specific problem, concern, or potential solution to an education challenge? Do you envision having an audience engagement component to your project, such as live chats with key players in the story or utilizing social media to gather feedback from readers? Please disclose any potential conflicts of interest. This might include, for example, non-journalistic freelance work or employment within the last two years. Does your news outlet receive any outside funding (such as from private foundations) that supports coverage of the issues you are proposing for your fellowship? If so, please explain. Once you start your application, you cannot save your progress and continue later. Once you submit your application, you cannot change your answers. Proceed with this application only when you are ready.